EngenderHealth's vision is a world where sexual and reproductive health rights are respected as human rights, and women and girls have the freedom to reach their full potential. This emphasis on rights directly underpins EngenderHealth's values and principles: choice, quality, and excellence. 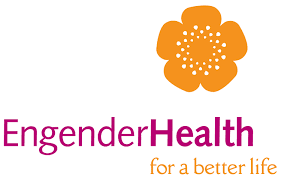 To achieve transformational change leading to true social and economic progress, EngenderHealth partners with diverse organizations across sectors with the shared goals of highlighting women's value to sustainable development. Scope of Position: We are looking for a University graduate with passion to develop his/her career in the HR field. EngenderHealth's goal is to provide valuable experience and development opportunities for young professionals. The internship is for a period of six months and will be based in Dar es Salaam. HR Information systems including storing and retrieving HR records. Any areas as may be instructed by the supervisor. Ability to operate in a confidential environment and follow organizational policies and procedures related to HR. EngenderHealth does not pay salary to interns. However, a stipend will be provided to the successful candidate to assist in meals and transport costs. To Apply: Please visit the Careers page at www.engenderhealth.org to submit your application online by 25th March, 2019; Search job openings under 'Tanzania' location to submit your details.